Out of most school and organization's extracurricular activities, football is usually the pride and joy of them. 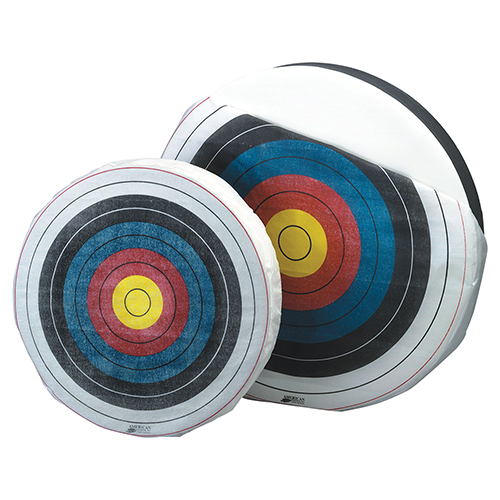 That is why it is important to have the best sporting goods accessories in which to outfit your field, such as football goal posts and pads. DunRite offers many football field goal posts to fit your budget and size. Ranging from our H-Frame Football Goal Posts and our Economy Official Football Goal Post, these basic structures provide official soccer goal dimensions and are constructed out of tough and durable steel tubing. Upgrade your equipment and get double play value with a combined Soccer and Football utilizing our Official Soccer Football Goal and Official High School Football Goal Posts. These models are also constructed out of steel tubing that meet NFSHSA and NCAA specifications and include "money-clip" style net attachments. At the top of our line is the Official Collegiate Football Goal Post. These slingshot design football field goal posts meet NCAA specifications and have a secure base plate mounting design system that ensures simple and secure installation. For player safety, outfit these football goal posts with post pads. Our Pro-style Round Post Protector is the top for style and safety. Constructed out of a six-inch thick foam filter with a rear cut out for easy on installation, this goal post pad is top of the line. The pad can also be customized with your team or organization's name on the pad. To complete the renovation of the football field, one must include stand-up end zone pylons, which mark the "promised land" for quarterback, running backs, and receivers alike. Our pylons are bright orange, soft and have a rubber base for stability purposes. Finish off this with our triangular sideline markers to mark off the parameters of the field. Bold print adorns the brightly colored set. Every year, competition gets stiffer as coaches and trainers find new ways to give their athletes, players, and teams that that competitive advantage to win. Companies flock to offer teams products and accessories that they claim will help bolster the training regiments and produce results that will increase a team's success. DunRite believes in providing only the most essential football practice equipment that's been proven time and time again to sharpen agility, speed, strength, and boost overall team performance. 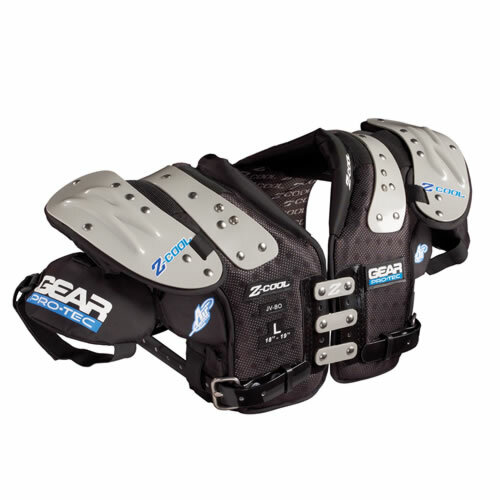 Quality football practice equipment is integral to the success of any football program. To build a successful quality football program, you must have athletes that are in tip-top shape and can withstand the grind of a full season. Agility trainers are being used by football coaches all over the country to build the footwork of receivers, backs, and linemen. These units are simple to set up, slip together quick for fast assembly and involve no nuts or bolts to put together. Strength is core requirement of football and a team's lineman should have plenty of it. Build strength through incorporating our football blocking sleds into your team's training regiment. These football sleds can be either single or multi-man operated and are fully adjustable. Pad angle, pad height, spring tension and the width of the football blocking sleds are just a few of the characteristics that are under your control. This type of field equipment is built to take the punishment from big lineman and is constructed out of coated steel tubing. High-density 100 lb foam encased in 18 oz. Vinyl makes up the striking surface of this sports equipment. To eliminate turf abuse from sliding over the field, the runners are angled at a 30-degree angle to make for smooth pushing over any school or gym's field surface. And what would such an efficient piece of sports field equipment be without coach platforms. These coach platforms, available on all Boomer sleds, attaches to the rear of the football blocking sleds and enable the coach to shout encouraging words as the football team toils on their road to perfection. 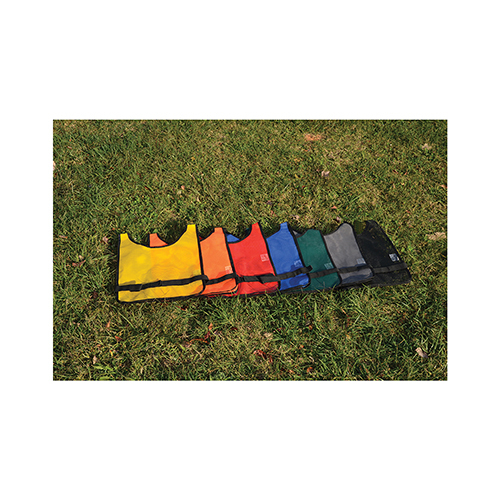 The football sleds can be bought in a rainbow of assorted colors to match your school's colors. The kicker needs the finest punting practice cages to hone skills. The wide structure provides enough of an area to ensure that none of the balls get away from the punting practice cage. The metal structure is composed of rust-resistant galvanized steel and is attached with tough nylon netting. This punting practice cage is also light enough to transport with other field equipment so it can be included in daily warm up regimens. Athletic Field Marking DustBright white premium marking dust complies with the NCAA rules for athlet..
Adjustable Ground Sleeves Features •Used for semi-permanent installation of the Max-1 football goa..
Composite leather tackified cover for superior grip control. Double laced for additional control an..
Vinyl covered foam with weighted bottom. 10 Inch numbers. Set includes: 2 foot G foot s, 2-20 foot.. Tacky, water resistant pro composite cover. 2-Ply butyl bladder. Playable on all surfaces. NOTE! Mi..
Quick release clip. *Pack 12. Youth Size 25”-31”. RED NOTE! Minimum order this manufacturing fa..
Vented for Air Flow and evaporative cooling Embossed with trademarked Z-Cool "Z" ..
Water repellent nylon construction with adjustable hook-and-loop closure. Bright gold with black mar.. Designed for use with Flag A Tag flag belts. Set includes 12 sockets, 12 Stems and 12 flags. Co.. Solid steel and cast aluminum construction Powered by 110 Volt AC or 1000-watt generator ..
1/2" Helmet Screw pack of 50BenefitsHelmet hardware.Warranty: 1 Year(s)Package (Quantity): PA..
Strike Attach Football Machine Each SAFM-1..
ColorBlackSizeL/XLWarranty:01 Year(s)Unit or Package:EADelivered by:Small Package Carrier..
Spalding Alpha Junior Size Football..
Aluminum Football Goal Post 23 foot 4 inch , 8 foot , 20 foot ..